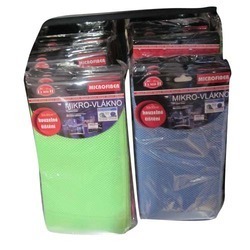 Pioneers in the industry, we offer micro fiber cloth, microfiber cloth, soft wiper blade and car vaccum cleaner from India. We are engaged in offering a wide gamut of Micro Fiber Clothe. Offered fiber cloth is distinguished in the market due to its long lasting quality. Our fiber cloth is designed with precision utilizing excellent quality fibers keeping in mind the predefined standard of industry. 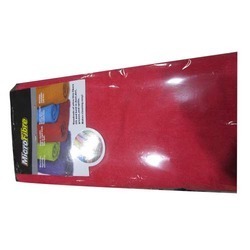 We are giving this fiber cloth in diverse customized sizes & colors as per the needs of customers. We are a company which is engaged in the manufacture and the supply of a wide range of Microfiber Cloth which have been made using a high quality of raw materials which have been procured from reliable vendors in the market. These products have been priced at very reasonable rates in the market and they are used for a wide range of applications. These products are high on demand in the market and they offer a high performance to the customers. 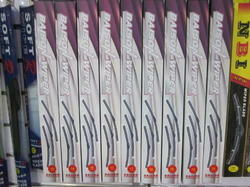 We are renowned as one of the most popular enterprises in this industry, offering Soft Wiper Blade. Our wiper blade is strictly checks on diverse parameters assuring its quality assured range at customer’s end. This wiper blade is designed with the excellent quality material by our professionals in accordance with the standards of market. We are giving this wiper blade in bulk order with quality packaging in a promised time.